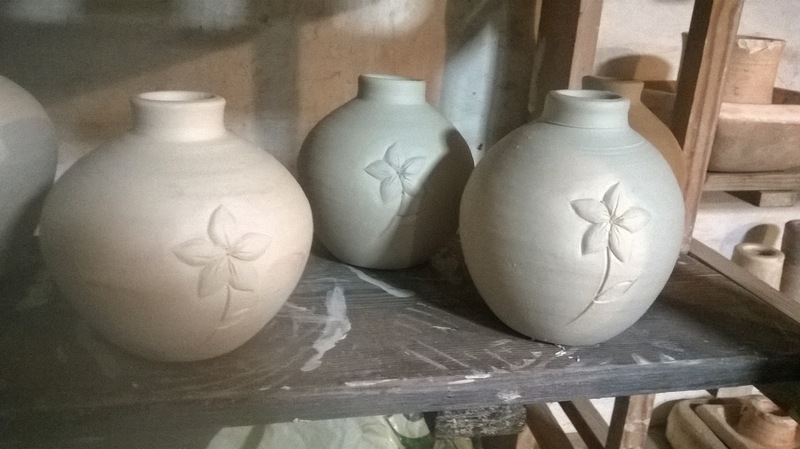 In December we are putting on an exhibition of work studio work including one off large pieces, new pieces which may become part of the range, our standard ware and also some pieces made by John Bedding. During November we have started planning what we will be making for this exhibition and also making test pieces, then eventually moving on to making some pieces. So it has been an exciting month in the studio. 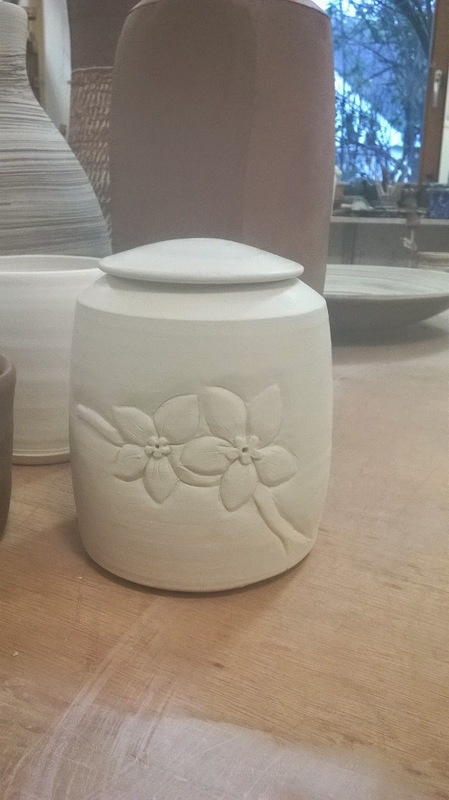 I have been working with porcelain and I have had a chance to do some of my carving, which has been simplified for a more standard range. I threw the pieces on the kick wheel in the old studio, which I really enjoyed. John Bedding was in the old studio at the same time, throwing some large pieces for the show, so it was great to get some advice from him and to watch him work. My mugs and bud vases will hopefully be a part of the exhibition, which is great to be a part of the final show. Alongside the exhibition we are working towards some big orders, so there has been a lot of work produced this month and a lot of firings have taken place. It will be great to see it all come together for the opening on the 12th December. I have also been working on some platters for my own work and I have done a couple of oxidation firings. I am trying some new geometric designs with the platters, which has been successful, I just need to make sure I get the glazes right now. I am firing a test this week to try and decide which glaze will work best. The carving took a long time, but hopefully that will get faster. 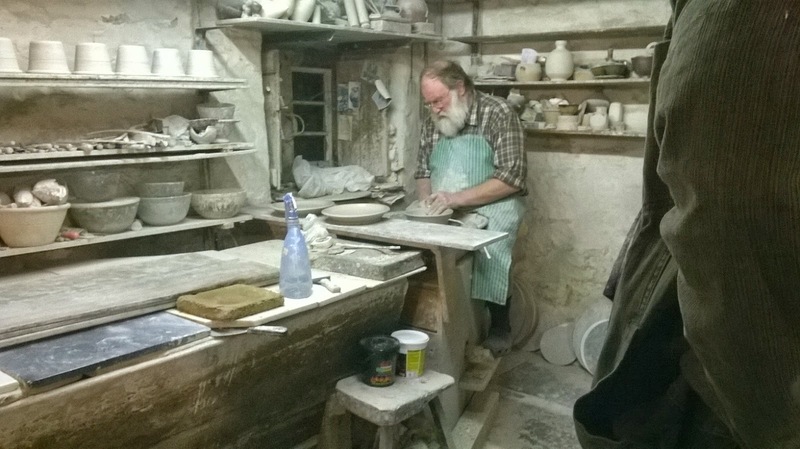 Earlier in the month we went on a trip to Somerset to see John Leach and his studio. It was such a nice location with a studio and shop. He was doing a firing at the time, so it was great to see his huge kiln in action. John gave us throwing demo for some plates he has been developing and he had prepared some pictures to show us the wood chopping process for a firing. After Somerset we then went to Bath to see the Sea Salt store where they have started selling our pots. 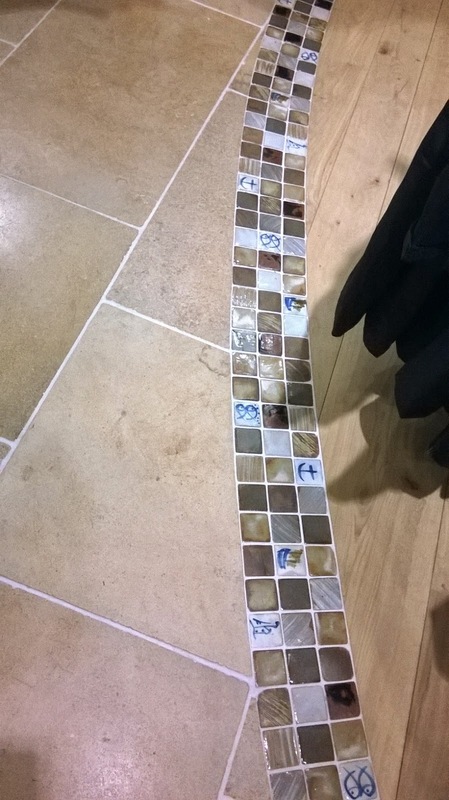 They had a nice display and the tiles looked great in the floor. Bath. It was a busy and interesting trip.